In this Sept. 13, 2018, file photo, Jeff Bezos, Amazon founder and CEO, speaks at the Economic Club of Washington's Milestone Celebration in Washington. In the email to affected customers, Amazon said it was unnecessary to reset passwords since it was "not a result of anything you have done"
Amazon exposed some customers' names and emails due to a "technical error," according to emails the company sent to affected customers. Several people shared screenshots of the emails online Wednesday morning. BetaNews first reported the incident. In a statement, Amazon said, "We have fixed the issue and informed customers who may have been impacted." Amazon did not answer questions about how many customers were affected by the error nor about how long information was exposed. 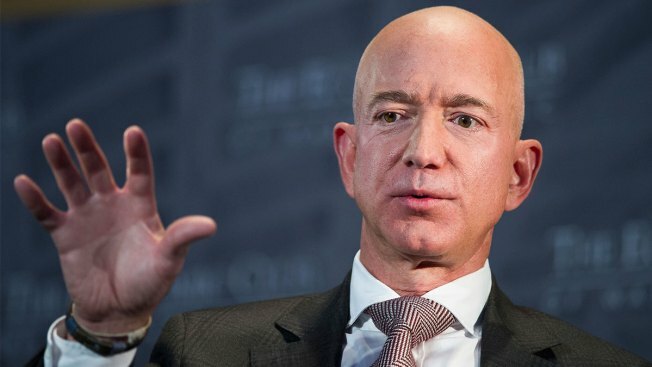 Amazon's website and systems were not breached, an Amazon spokesperson told CNBC. The company did not say where the customer information was visible. In a customer forum, people who received the cryptic message from Amazon were surprised that the company did not recommend they reset their passwords and that the link to Amazon's website in the email signature did not contain a secure link, which would contain "https" rather than "http."